With summer coming to an end, and fall just around the corner, celebrations are starting to fill up the calendar. September marks California Wine Month. The go to destination in Southern California for this annual festival is Temecula Valley, so if the idea of a month of wine gets your blood flowing, start making hotel and event reservations now so as not to suffer from the dreaded traveler’s disease, FOMO: the Fear Of Missing Out. The Valley’s “SIP Passports”, passes that are valid for every day in September, offer a great value at just $50 each. They include vouchers for full wine tasting flights at any of the approximately 40 Temecula Valley Winegrowers Association wineries. In addition to established wineries with considerable SoCal Wine Country history like Callaway, Hart, and Keyways, consider wineries off-the-beaten-path such as Briar Rose, Doffo, Europa, FootPath, or Longshadow. 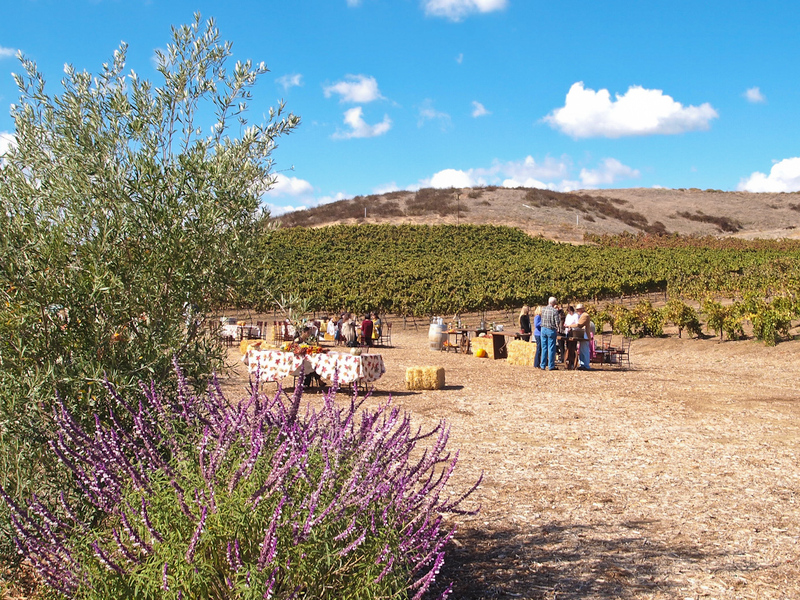 The De Portola Wine Trail offers many more to explore. Lastly, wineries that have earned Temecula Valley Southern California Wine Country accolades include Bel Vino, Churon, Falkner, Lorimar, Lumiere, Miramonte, Monte de Oro, Palumbo, Ponte, and Wilson Creek. Perfect Pairings are offered at participating Temecula Valley Winegrowers Association wineries from September 1st to 15th with a SIP Passport; top wines are paired up with a “perfect bite” making for a lovely wine tasting experience. California Wine Month celebrations in Temecula culminate in the Crush and Culinary Showcase on Saturday September 15, 2012. 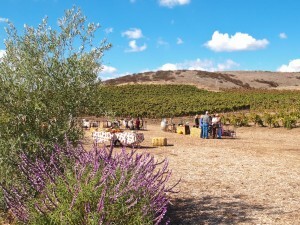 This event always sells out and features wineries and wine country cuisine from local chefs, farms, restaurants. All inclusive early bird tickets are $65 with prices going up to $75 August 15. Less than two hours from most So Cal cities, Temecula Valley makes for the perfect romantic wine weekend getaway, or several weekends to visit more wineries.